Business Manager Monica Sturm is a welcomed addition to our firm. 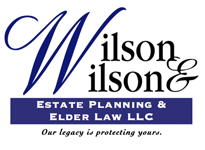 When she joined Wilson & Wilson Estate Planning & Elder Law LLC Law Offices in December of 2012, she brought with her 20 years of international legal experience in the areas of personal injury paralegal, office administration and accounts payable. In her previous positions, she traveled extensively to South America and all over the U.S. on various personal injury cases. Currently, she is responsible for creating accounting reports, daily bookkeeping, client billing, staff supervision, office operations management, event planner and Notary Public. Along with her wealth of experience, Monica continues to enrich her experience by attending webinars, classes and seminars. She is a quick study and an excellent addition to LOWW. “I take pride and enjoy providing assistance to all clients as we represent them in their most trusted needs,” she says. 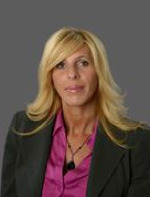 Originally from South Florida, Monica moved to the Chicago area with her husband and children. Whenever possible, she enjoys outdoor activities like boating, paddle boarding, roller blading, running and playing with her children. When she is not working or playing, you can find her catching up on the latest fashions and runway collections…possibly adding to her extensive shoe collection.